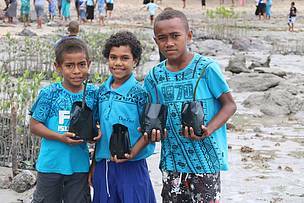 Ratu Meli Memorial primary students transporting potted mangrove seedlings ready for placement. In joining the rest of Fiji in celebrating 48 years of independence, villagers of Nacula in the Yasawas, held a special Fiji Day programme aimed at strengthening awareness on healthier lifestyles and environment sustainability. 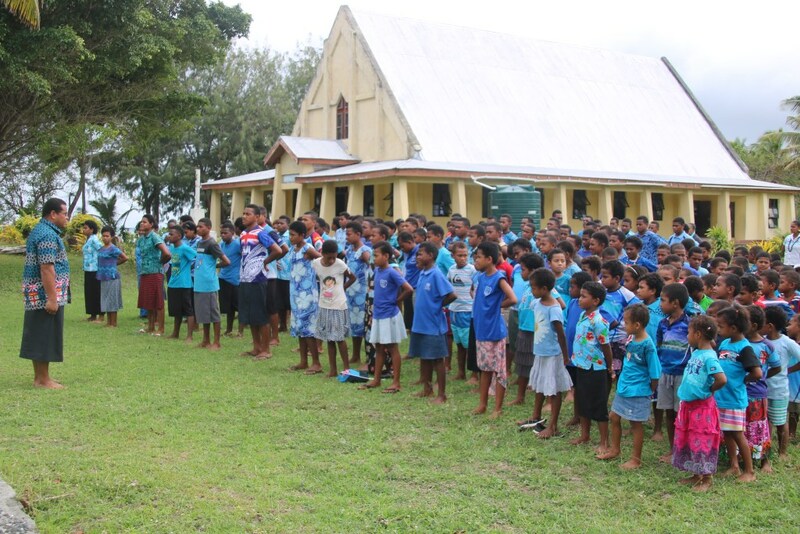 The Nacula Fiji Independence fun day was organised by the Nacula youth group upon request from the District chief, the Turaga na Tui Drola Ratu Manasa Naikasowalu which began with an early morning combined church service followed by an active sports session led by the district’s doctor. “The initiative came about to make good use of today’s celebration, usually, the day is spent drinking kava however the programme was scheduled to have the Ministry of Health, and NGOs such as WWF-Pacific come in and lead a few sessions,” said Ratu Manasa Naikasowalu. “Solesolevaki in Itaukei refers to coming together as a community and working as a family, so it is good to see the community coming together to not only celebrate Fiji Day but also get awareness on the importance of their health and the need to take care of the environment,” the Turaga na Tui Drola Ratu Manasa Naikasowalu said. “I feel excited about this. It’s a first for Nacula village and something we would like to hold every Fiji Day,” said Nacula district representative, Saimoni Naivalu. 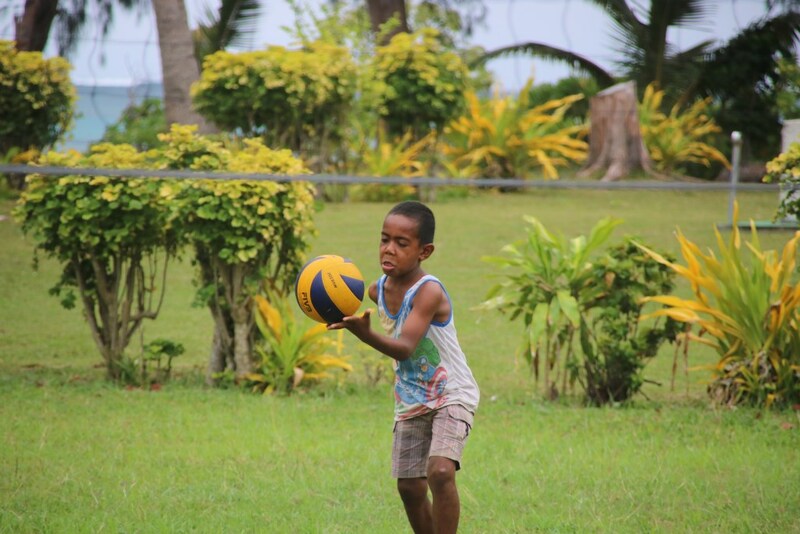 The non-communicable disease screening and volleyball activity was a chance to further advocate the importance of a healthy life style amongst the community. “Our team have been visiting the communities to create the awareness to bring about changes in dieting and it’s a work in progress. Such initiatives as today further adds to the change we are trying to bring about and it’s great to see the community here taking part,” said Nacula district doctor, Dr. Avock Saijohn Jonathan. The Nacula village committee aims to raise FJD$5,000 that will go towards funding further developments such as the village hall’s restrooms and other ear marked projects. According to Naivalu, every men in the village and those living outside of Nacula village is tasked to contribute FJD$50 each and so far feedback from the men have been positive. Nacula village has a population of 273 people and 63 households. The Fiji Day celebration laid the platform for the community to strengthen the importance of protecting their environment. 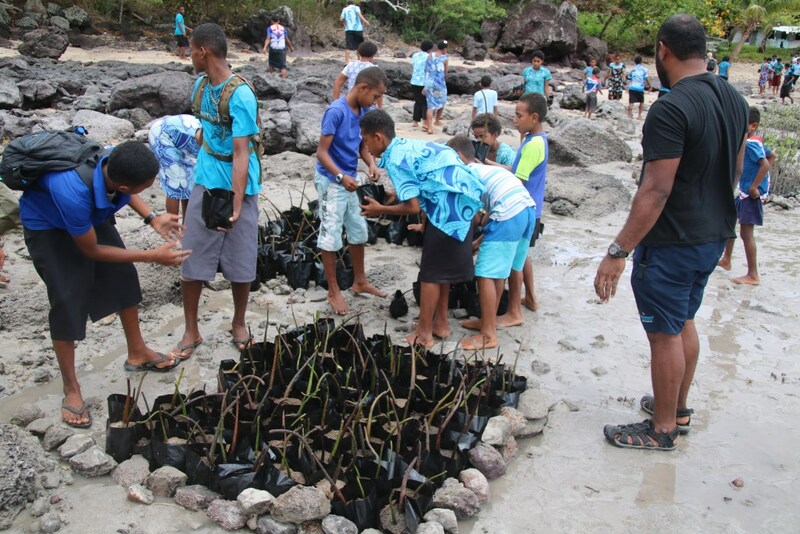 The World Wide Fund for Nature – Pacific (WWF-Pacific), as part of the Fiji Day celebrations, led the mangrove planting. A total of 1,000 mangrove seedlings were planted by the school children of Ratu Meli Memorial School and Yasawa North Secondary. “WWF-Pacific is proud to be part of today’s celebration and we are grateful for the invite. The whole programme of the day not only involved and encouraged patriotism for our country but included spiritual enhancement, health and well-being and environment management as well. 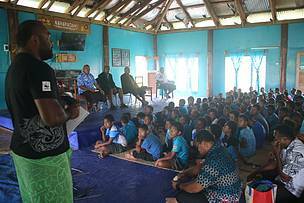 This is the type of integrated approach that is needed towards sustainable management and development within communities,” highlighted WWF-Pacific’s climate change support officer, Apolosa Robaigau. The mangrove seedling transplanting initiative is also one of the rehabilitation efforts; WWF-Pacific has and continues to undertake with communities in the districts of Nacula through its ‘Living with Change: Resilient Mangroves, Fisheries and People of Fiji and PNG’ or IKU project that is funded by the German Government. 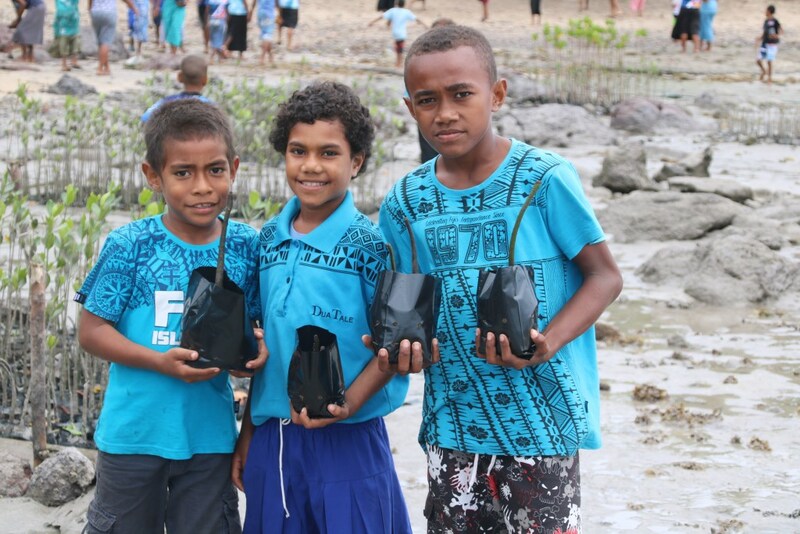 “These communities of Nacula district are playing their part and WWF-Pacific is committed to providing the necessary support and advice to better protect their mangrove and environment ecosystems for the benefit of these communities,” added Robaigau. 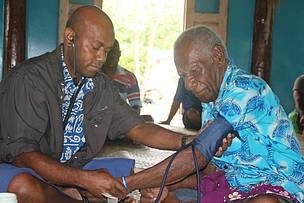 Maciu Senatabu, 84 years old getting screened by the Nacula district medical team. 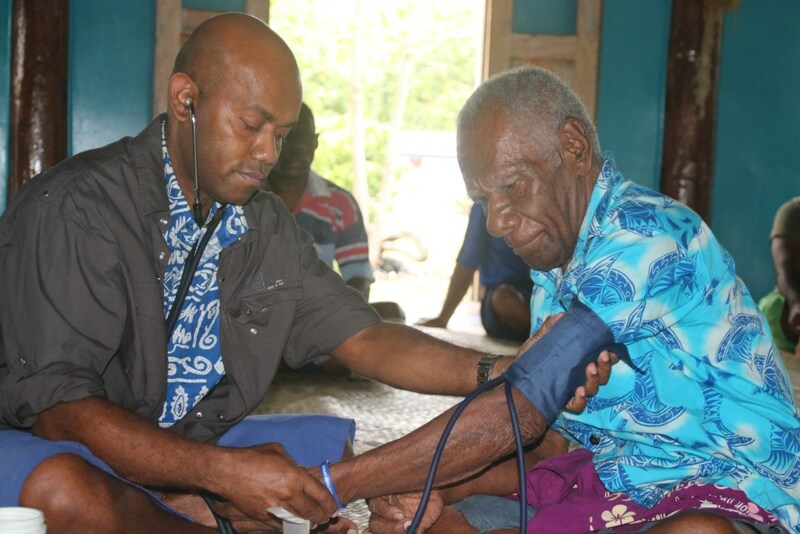 Free medical screening was part of the Nacula village Fiji Day celebration. Kini Joji serving and part of the Fiji Day celebration at Nacula village. Students of Ratu Meli Memorial Primary and Yasawa North High part of the flag raising ceremony. WWF-Pacific's climate change support officer, Apolosa Robaigau speaking on the need to protect the environment. Yasawa North Secondary school students placing potted mangrove seedlings on a section of Nacula village's coastline. 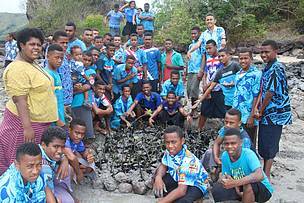 Yasawa North Secondary students part of the mangrove planting at Nacula village.